by Marinduque News on Sunday, July 31, 2016 in Written by Romeo Mataac Jr.
TORRIJOS, Marinduque – Marinduque Island is one of the newest locations that has been added to Google Street View, allowing visitors from all over the world to see the majestic center of the Philippines. About eleven miles away from the island of Luzon is a heart shaped piece of land (370 square miles) surrounded by the clear deep blue sea - Marinduque. It is the geo-physical center of the country, hence dubbed as "The Heart of the Philippines". 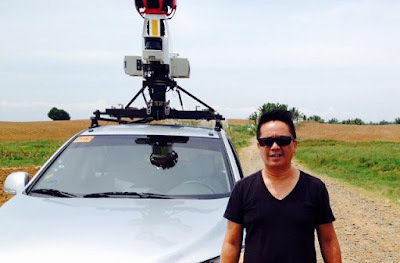 Google started covering its street view mapping service in Marinduque last June 5 of this year. Thank you for the effort and industry of Michael Abellera. Michael is the one and only person who covered the streets of the entire Province of Marinduque with the instructions of Google Lead Operation for Philippines, Leandro "Mags" Capistrano. Abellera used the Google Street View Car for this new apps of Google Maps. Google installed 15 360 degrees’ cam to widen and capture the clear view pictures of beautiful spots of Marinduque. 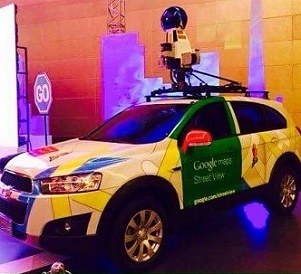 On July 20, Google announced that the coverage in Marinduque was already posted and it’s now available online through www.instantstreetview.com. Google Street View Application can also be downloaded for free in Android Apps on Google Play and App Store. According to Michael Abellera “This Google Street View Apps is a very great help like they can see how beautiful a place before they go and much easier to find address because they can walk through in this application before going to the actual address or location. This project of Google showcase how beautiful our country is”. Abellera also added “I’m so great and privileged with this project as I was able to cover the fine-looking and amazing province of Marinduque”. Here are some of the Facebook posts of our kababayan especially those in abroad who are happy and excited seeing their homes and sometimes catch loved ones as they were captured by Google's Street View cameras. Marinduquenos and Marinduque News Online sincerely appreciate and value the labor of Michael Abellera. Cheers!